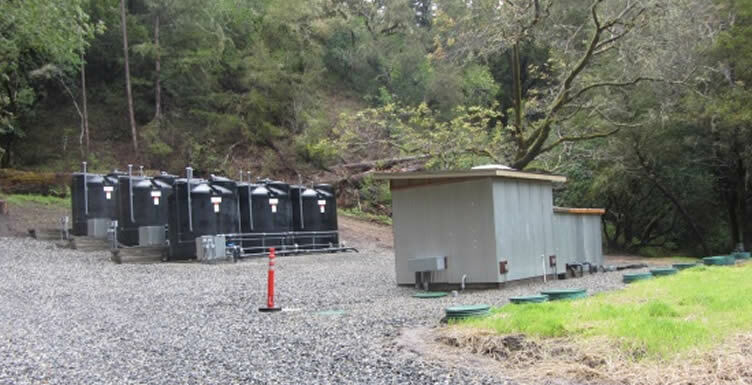 FCE designed and supervised construction of an the advanced biological treatment system for the year-round residential camp and conference center in the San Lorenzo River watershed in the Santa Cruz Mountains. 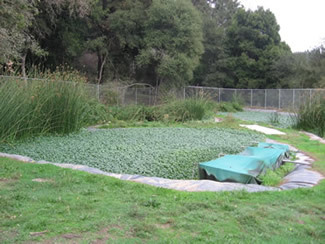 The California Regional Water Quality Control Board required that the camp install an enhanced wastewater system to reduce total nitrogen by 50% before it can be discharged. 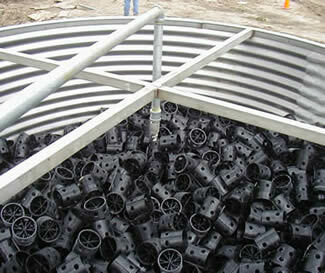 FCE designed a two-stage biological trickling filter system to treated flows up 30,000 gallons per day. Routine testing demonstrate the system is reducing the biochemical oxygen demand (BOD) and total suspended solids (TSS) to less than 10 mg/L and total nitrogen greater than by 50%. 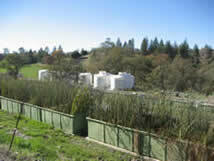 Treated effluent is filtered and reused on the property to irrigate an athletic field and ornamental landscaping. The main control panel includes a SCADA system to allow for both local and remote operation and monitoring and alarm notifications. 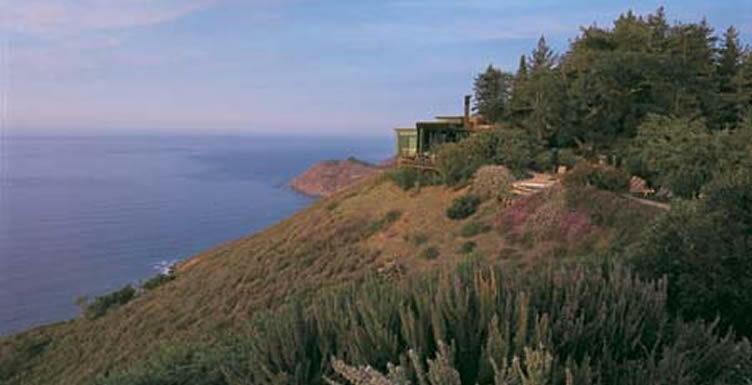 Nestled on the western slope of the Santa Lucia Mountains in Big Sur, California, the Post Ranch Inn is a luxury resort committed to eco-tourism and sustainable development and to preserve and protect the site and environs of the unique coastline. FCE designed and supervised the construction of an enhanced biological treatment system designed to treat the wastewater at the Inn to advanced secondary levels. The system reduces the biochemical oxygen demand (BOD) and total suspended solids concentrations by greater than ninety (90) percent. The system uses a subsurface two-stage trickling filter to achieve a highly treated effluent. The system is designed to treat 15,000 gallons per day. The main control panel includes a SCADA system to allow for remote operation and monitoring. 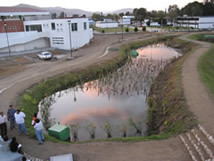 FCE designed and supervised the construction of an advanced wastewater treatment system for the main public university campus in the City of Oaxaca in Southern Mexico. The project was constructed as a demonstration project using a three stage wastewater treatment system employing an upflow anaerobic sludge blanket digester (UASB) and an integrated pond and constructed wetland treatment system. 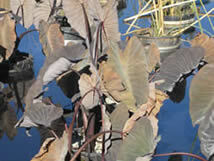 Treated effluent is used to irrigate ornamental landscaping and turf on the campus. The award-winning, five-star Jean-Michel Cousteau Fiji Islands Resort is one of the most renowned vacation destinations in the South Pacific. 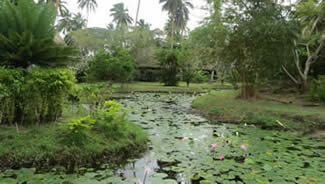 The resort is situated in a sensitive environmental setting adjacent to pristine coral reefs. To protect the reefs, FCE designed and supervised the construction of an advanced wastewater treatment and reuse system for the resort. The treatment system utilizes a two-stage trickling filters and two-stage constructed wetland pond system to achieve tertiary level treatment of the wastewater, reducing BOD, nitrogen and suspended solids to less than 10 mg/L. Treated wastewater is used for landscape irrigation on the property. 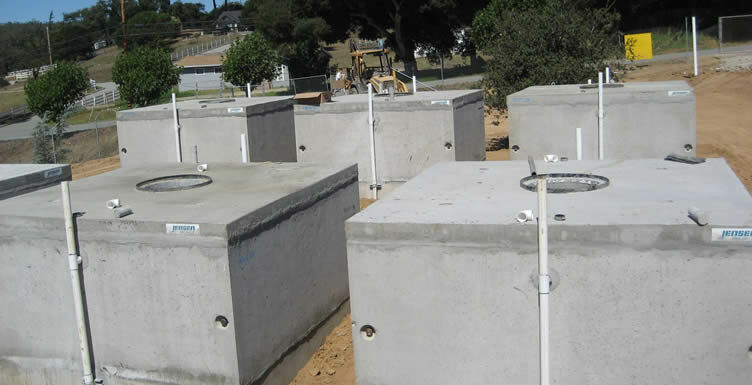 FCE designed and supervised the construction of a two-stage trickling filter system for a 61 home affordable housing project on Pinto Lake in southern Santa Cruz County. The system was designed to reduce the BOD and total suspended solids to meet secondary treatment standards of 30 mg/L for a design flow of 20,000 gallons per day. Routine water quality results have demonstrated that the treatment system produces effluent with BOD and TSS concentrations of 15 mg/L, exceeding secondary treatment standards. Treated effluent is reused in a subsurface drip dispersal system to irrigate a soccer field in the community. A pressure dosed leachfield was also installed and is used during non-irrigation periods. The main control panel includes a SCADA system to allow for local and remote operation and monitoring and alarm notifications. 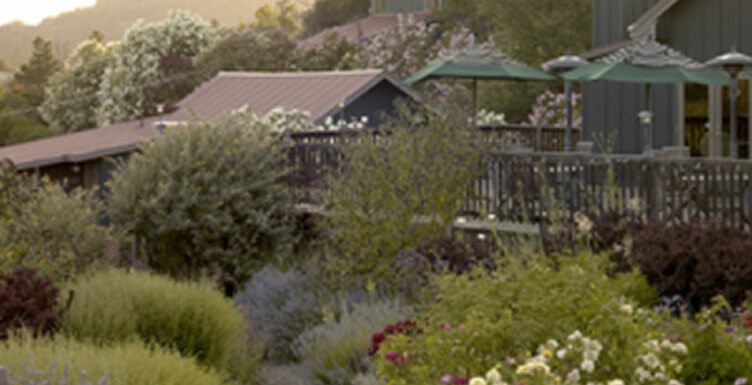 FCE designed an enhanced wastewater system for the Mayacamas Ranch resort located in the hills above Calistoga in Napa County. 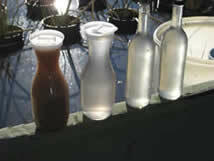 The system was designed to treat wastewater from the resort’s commercial kitchen and guest units. The wastewater system is designed to treat approximately 1,500 gallons of wastewater per day and employs an OSI Advantex media filters, including three OSI AX20 packed bed textile filters. Effluent from the treatment system is reused for landscape irrigation using a subsurface drip disposal system and also includes a backup shallow pressure dosed leachfield system. 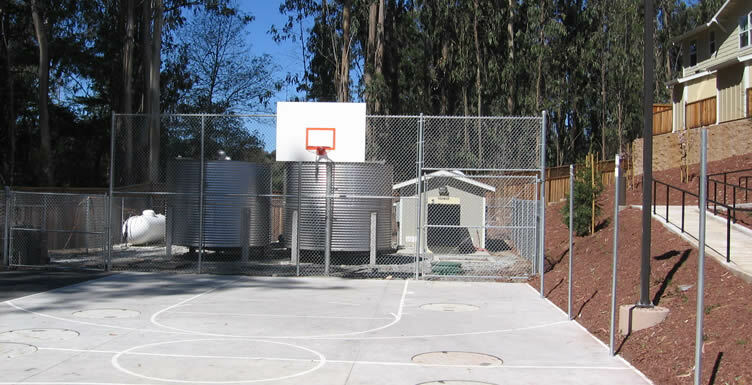 FCE designed and supervised the construction of an enhanced two-stage trickling filter system for a 68 home affordable housing project on a densely populated, redeveloped site in Santa Cruz County. The system includes a two-stage biological trickling filter with recirculation to reduce the BOD and total suspended solids to less than 30 mg/L for a design flow of 30,000 gallons per day. Routine water quality results have demonstrated the treatment system produces effluent with BOD and TSS less than 15 mg/L, exceeding the design goals. Treated effluent is reused for landscape irrigation and excess effluent is disposed of in seepage pits. The main control panel includes a SCADA system to allow for local and remote operation and monitoring and alarm notifications. The San Lorenzo Valley Unified School District owns and operates the San Lorenzo Valley School Complex in the Santa Cruz Mountains. The complex includes a pre-school, elementary school, junior and high school facilities with a total campus population of approximately 2,500 students and 140 faculty. The California Regional Water Quality Control Board requires the District to remove 50% of the total nitrogen in the wastewater to protect water quality in the San Lorenzo River. FCE designed and supervised the construction of an advanced wastewater treatment system to reduce nitrogen in the wastewater. The system was designed for an average flow of 15,000 gallons per day and uses a single stage trickling filter and two-stage constructed wetland system. 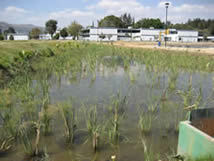 Due to the particularly high level of ammonia and low level of carbon in the wastewater a constructed wetland has been a long-term effective treatment system for the campus meeting the State Standards for over 15 years. FCE designed and supervised the construction of the advanced wastewater treatment system for the commercial shopping center in Monterey County. The treatment system was designed for an average flow of 20,000 gpd and consists of a three-stage trickling filter design that includes an integrated stacked trickling filter and clarifier design. The system is designed to meet tertiary level treatment of less than 10 gm/L for BOD and TSS and over 50% removal of total nitrogen. Treated effluent is discharged to a subsurface drip dispersal system and leachfield system. The main control panel includes a SCADA system to allow for local and remote operation and monitoring and alarm notifications. FCE designed and supervised the construction of an enhanced winery process wastewater treatment and land application system. FCE designed a treatment system that includes equalization tanks, a two stage trickling filter system, and a multi-stage constructed wetland system. The system is sized to treat up to 45,000 gallons during the crush period and to reduce BOD and TSS by 90 percent and maintain pH of the effluent above 6.5 units. 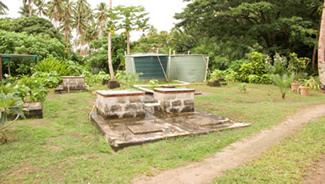 Since the system was started in November 2008 it has met the state effluent limitations. Treated effluent is used for pasture and vineyard irrigation. The main control panel is a custom panel that includes a SCADA system to allow for local and remote operation and monitoring. 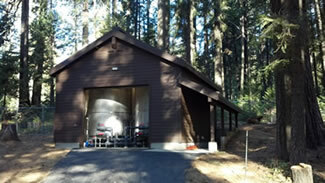 FCE designed wastewater system improvements for the Eagle Point Campground in Emerald Bay State Park on Lake Tahoe. The project included improvements for three main lift stations at the Park The project also involved the removal of the existing pumping equipment and controllers, and removal of the overflow tanks. 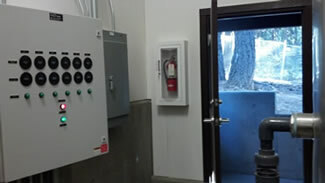 The lift station improvements included a refurbished pump tank, an overflow tank to provide redundancy and safety, grinders, duplex pumps, backup high and low level float system, reactive air level sensors, and new controllers and a new SCADA control system. FCE designed and supervised the construction of an advanced wastewater system for the Mission Springs Camp and Conference Center located in Santa Cruz County. 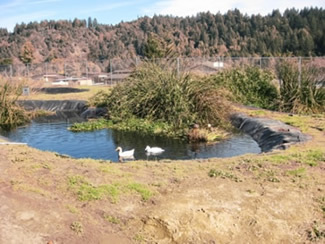 The campus covers a total of 150 acres and is located in the nitrogen-impaired San Lorenzo River watershed. The California Regional Water Quality Control Board requires a 50% nitrogen reduction in the wastewater before it can be discharged. FCE prepared a comprehensive improvement plan to collect wastewater from the Conference Center, treat the wastewater in a centralized enhanced biological treatment system, and dispose of the water in pressure-dosed leachfields. The system was designed to treat up to 36,000 gallons per day. 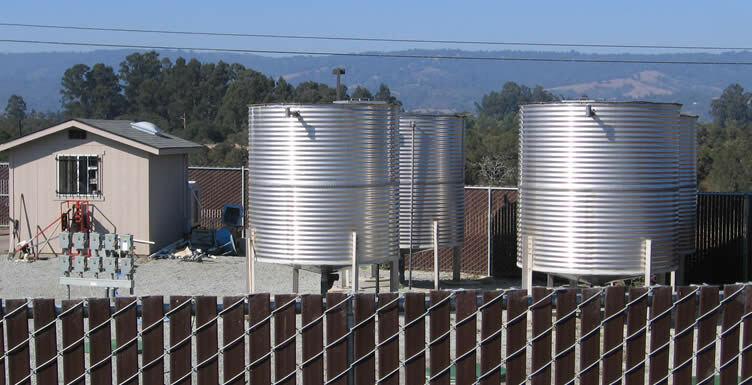 The treatment system uses an anaerobic baffled reactor (ABR), stacked trickling filter/clarifiers, and recirculation to reduce BOD and TSS to less than 10 mg/L and total nitrogen by fifty percent. FCE included provisions for a second phase of improvements that would include filtering and reusing the treated water in subsurface dispersal. The main control panel is a SCADA-enabled system that allows for local and remote operation, monitoring, and alarm notifications. 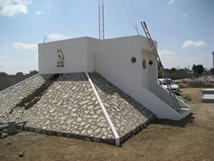 FCE designed an enhanced wastewater treatment and reuse system for the Wildbird Property. 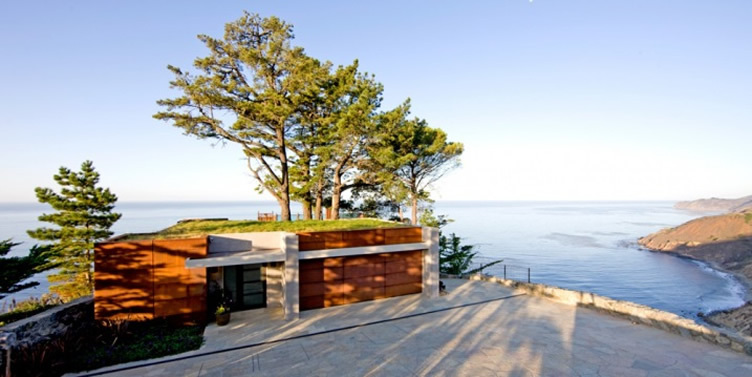 The dramatic property sits over 600 feet above the Pacific Ocean on a granite outcropping that provides very little room for a wastewater treatment and reuse/disposal system. FCE employed an OSI Advantex treatment system that includes an OSI AX 20 treatment pod for enhanced treatment of the wastewater. Treated effluent is reused for landscape irrigation using a subsurface drip dispersal system that irrigates a green roof and surround landscaping. A back up pressure dosed leachfield system was also installed for wastewater disposal during rainy periods. 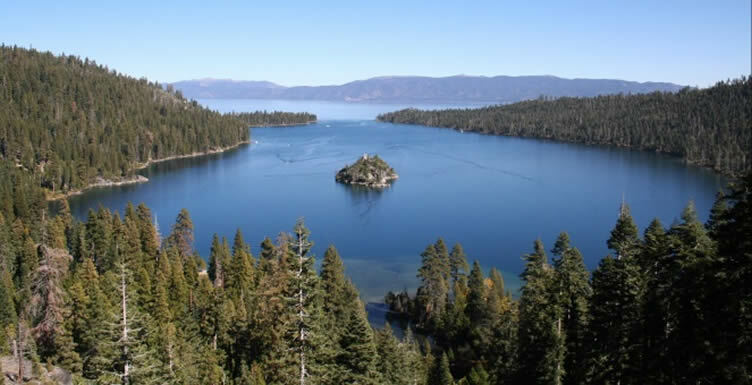 FCE prepared wastewater system rehabilitation design plans for the Calaveras Big Trees State Park in the eastern Sierras. FCE designed an onsite biological wastewater treatment system to treat waste from the RV dump station at the Park. The wastewater treatment system reduces formaldehyde concentrations to below the California Regional Water Quality Control Board’s waste discharge requirement of 0.1 mg/L. 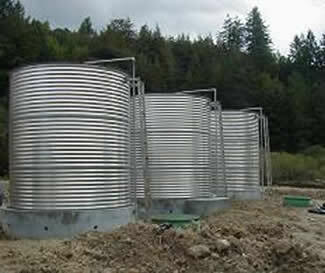 The wastewater treatment system includes a two-stage stacked trickling filter system. FCE also prepared engineering plans and specifications to rehabilitate approximately 1,500 linear feet of sanitary sewer at the park including repairing sections of the sewer with cured in place pipe (CIPP) technology and pipe bursting, and relining 19 manholes throughout the park.